ASSE Professional Development Conference & Exposition takes place in Atlanta, GA from June 26 through June 29, 2016. For more than 50 years, ASSE’s Professional Development Conference has been and will continue to be the direct reflection of what is taking place in the occupational, safety and health industry. 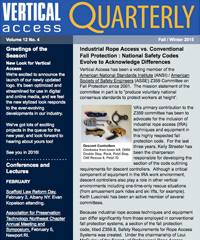 Check out our Fall / Winter 2015 Quarterly newsletter. Vertical Access has been a voting member of the American National Standards Institute (ANSI) / American Society of Safety Engineers (ASSE) Z359 Committee on Fall Protection since 2001. The mission statement of the committee, in part, is to “produce voluntary national consensus standards to protect workers at height”. These standards are intended for those involved in general industry fields. “General Industry”, a term coined by the Occupational Safety and Health Administration (OSHA), includes all industries that are outside of the agriculture, construction or maritime industries. 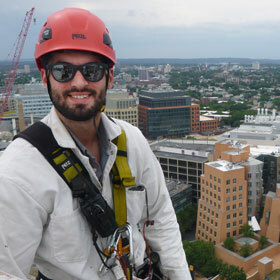 Being classified as general industry, Vertical Access’s work conducting condition inspections falls under the territory of the ANSI Z359 Fall Protection Code. Learn more about the differences between ANSI and OSHA here. VA’s primary contribution to the Z359 committee has been to advocate for the inclusion of industrial rope access (IRA) techniques and equipment in this highly respected fall protection code. For the last three years, Kelly Streeter has been the chairperson responsible for developing the section of the code outlining requirements for descent controllers. 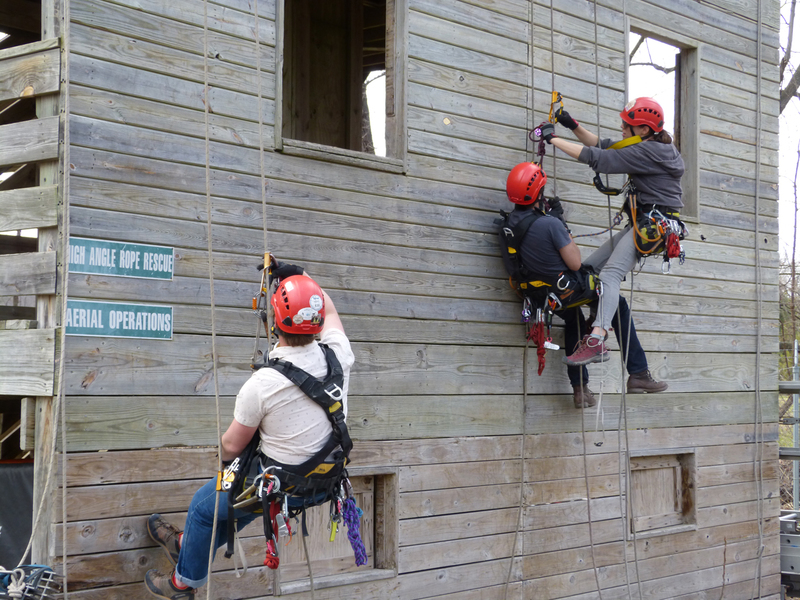 Although a critical component of equipment in the IRA work environment, descent controllers also play a role in other vertical environments including one-time-only rescue situations (from amusement park rides and ski lifts, for example). Keith Luscinski has been an active member of several committees. Because industrial rope access techniques and equipment can differ significantly from those employed in conventional fall protection systems, a section of the fall protection code, titled Z359.8, Safety Requirements for Rope Access Systems was created. Under the chairmanship of Loui McCurley of the Society of Professional Rope Access Technicians (SPRAT) the subcommittee has labored to create a comprehensive IRA section of the code, a difficult task because of the significant departures in training requirements, work techniques and equipment selection from conventional fall protection. 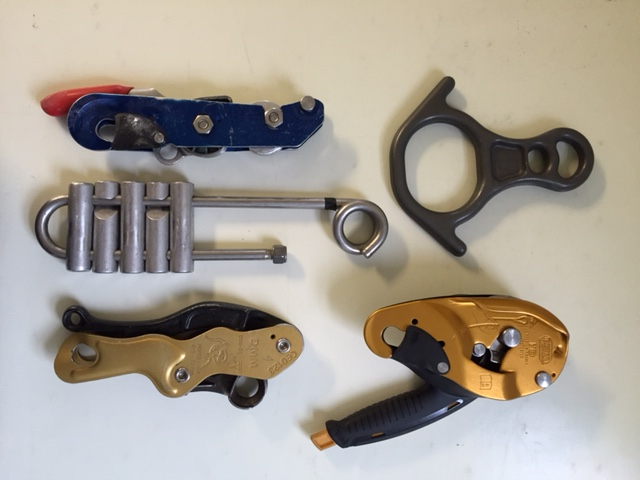 For instance, a rope access backup device has different requirements than an ANSI Z359.15 fall arrester. For example, a fall arrest system may allow a worker to fall up to 11 feet, whereas a backup device in rope access would only ever allow a factor 2 fall on a 24” lanyard. Therefore the design, performance and testing requirements are significantly different. The repeatedly voiced concern from the full ANSI Z359 committee is that the inclusion of rope access equipment with different performance requirements may be confused on site with similarly marked conventional fall protection equipment. Finally, after more than a decade of work, which saw much resistance to the inclusion of IRA in the ANSI Z359 code and many reversals of direction from the full committee, a resolution has seemingly been reached. At the recent October committee meeting in Chicago, a group of rope access professionals, including Sam Terry (Sparkling Clean Window Company), Shaun Reed (US Bureau of Reclamation), Keith and Kelly, presented the Z359.8 document in its current form to the full committee and spent an hour discussing and addressing concerns from the full committee. Near the end of the hour, an idea was suggested that the Z359.8 standard continue to be a part of the Fall Protection Code but bear a number other than Z359. This would allow the rope access community to continue to draw upon the knowledge base of the full committee, while assuaging concerns that the equipment markings might be confused. Also, many of the manufacturers on the full committee make both conventional fall protection equipment and rope access equipment, and the new organizational system will keep all the committees under one roof.